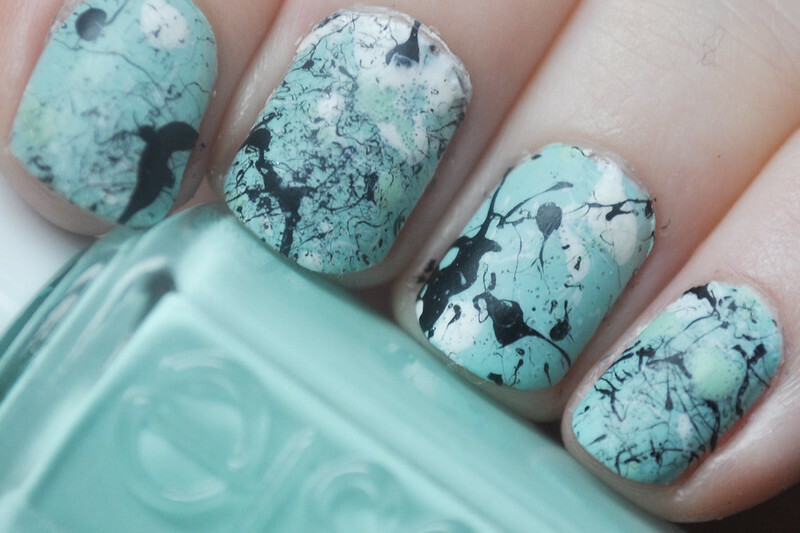 I decided to give splatter nails ago after seeing them on Chalkboard Nails. My favourite is this one with white, gold, red and black on a grey base. If only I didn't give my gold polish away I could have tried it. It could work with silver though? I'm also thinking what would happen if you tried to use a glitter polish? The key to this is taping your fingers so there is only a little bit of clean up at the end. You look a bit weird, check my week in photos post, but it's a life saver. It also definitely depends on which polishes you use. I found thinner one's didn't work so well. Pick polishes that only need one or two coats, they tend to work better. 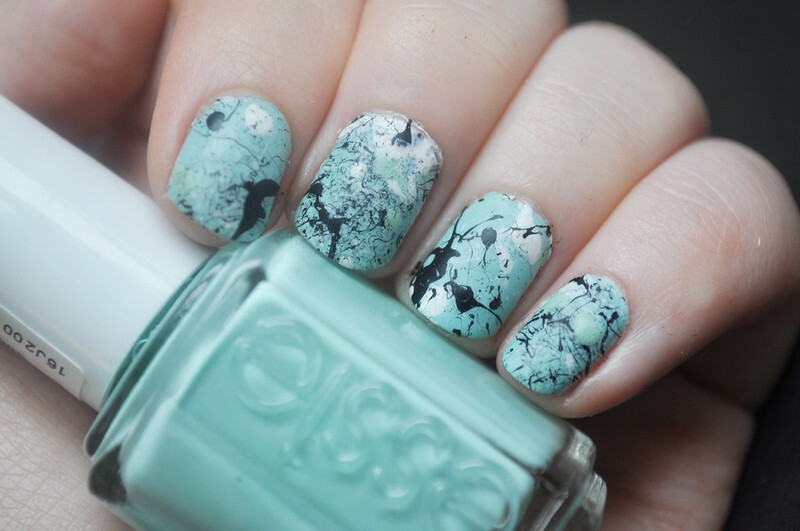 For this particular one I used Essie Mint Candy Apple as the base then Avon Licorice* and Models Own Snow White for the splatter. I did try to add Revlon Minted but it didn't work. You can probably see a few splotches of it but I found it wouldn't splatter. I also added Essie's Matte About You which I much prefer, it just looks so much better matte. I also found that this made it easier to photograph. If you want to know how to do this nail art you can follow Meg's video. These look *amazing*!! And the colours you used make it look like marble! Defo trying out this now! they are awesome. i used to love doing jackson pollock studies in art because they were so easy!